Discover the complete program of the 2017 edition. 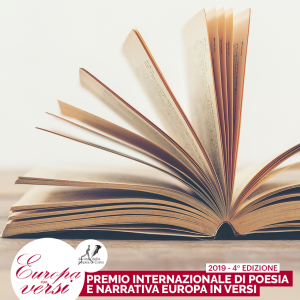 The third edition of the Europa in versi Award is live! 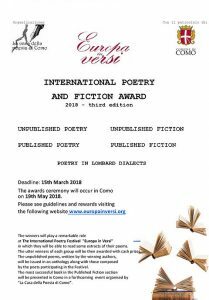 Europa in Versi, organized by La Casa della Poesia di Como (The House of Poetry of Como, Italy), is an International Poetry Festival that takes place from 2011 in Como, in the picturesque scenery offered by one of the most beautiful lakes in the world. Europa in versi 2018 Award: ready to go!